Welcome to a place where being normal is really quite strange. From the visionary director of “Mr. 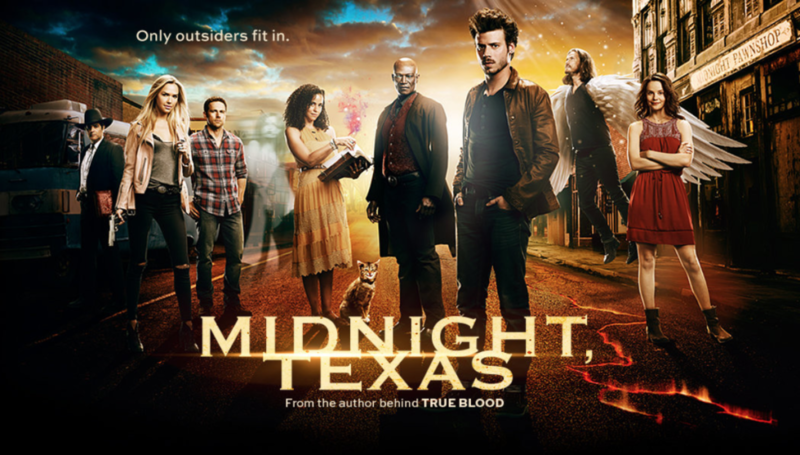 Robot” and based on the hit book series from the author behind HBO’s “True Blood” comes a journey into a remote Texas town where no one is who they seem. From vampires and witches to psychics and hit men, Midnight is a mysterious safe haven for those who are different. As the town members fight off outside pressures from rowdy biker gangs, ever-suspicious cops and their own dangerous pasts, they band together and form a strong and unlikely family. DEAD OVER HEELS on Hallmark, March 24th! !